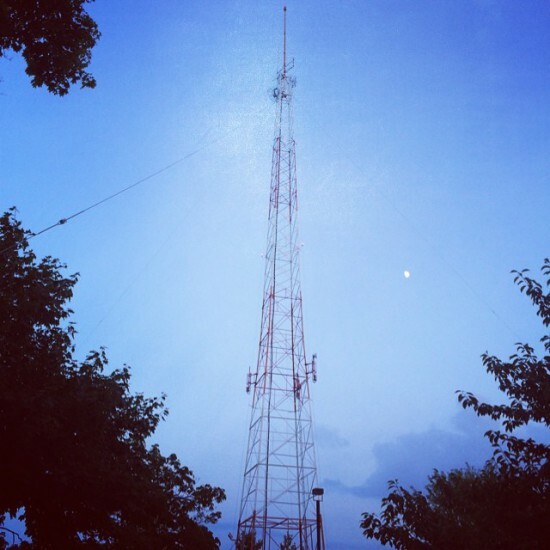 The tower outside WBZ on Soldiers Field Road, Tuesday at about 7:50 p.m. Sometime between 2007 and 2009, BU took down the old WBUR tower from the roof of 630 Commonwealth Ave, according to Google street view. I guess that leaves the (unused?) ‘BZ tower on Soldier’s Field Road as the last old one in town.